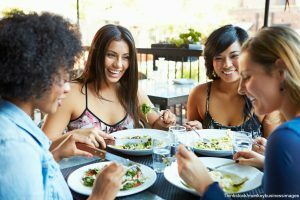 When you plan a trip here in our summer season, there are so many things to think about that oftentimes meals are overlooked. Luckily for you, here in Boothbay Harbor, we have many fantastic restaurants to choose from. 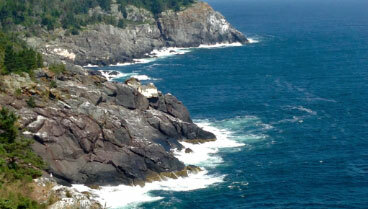 We at Topside Inn love sharing our favorite places to eat with our guests. One in particular we enjoy is Boathouse Bistro. Once you walk in, you will see quickly why it is a hot spot in the summer months. Come and see why you should add Boathouse Bistro to your list of Boothbay Harbor eateries the next time you are here! Learn about all of the wonderful things to do during your stay when you download our free Vacation Guide. It’s full of our recommendations for outdoor adventure, the best shopping, and great restaurants such as Boathouse Bistro. The story of Boathouse Bistro starts with 2 couples. Mark and Karin Guerin, and Ralph and Elena Smith met in Boothbay Harbor in 1999. Since then, they have been inseparable. After a while, they decided to take their strengths and open a restaurant. Each of them is an important piece of the puzzle of a successful restaurant. Since then, their hard work has paid off in being one of the most beloved eateries in the area. As you can see, they have an extensive tapas menu. The way we know tapas is not how the concept came about. Tapas was originally referred as tapa, or lid, in Spanish. After a long day, many in the community would gather at their local taska to have a drink and relax with friends. One common problem we still have today is bugs. Bugs would try and land in their drinks. To prevent this, the owner would place a cracker or slice of bread to protect it. From there, the concept grew into more ornate bites of food. Over time, you have what we now know as tapas, bites of food. When you decide on the Boathouse Bistro, you will see that you have different menus to choose from. It’s wonderful that they have so many options. On the menu, you will find hot, cold, and shellfish tapas. You can also see they have delicious soups, salads, and sandwiches. If you are looking for a more hearty meal, you can check out their risotto dishes as well as they meat and wild game options. If you love seafood, they have Maine lobster and other seafood entrees. Be sure to check out their wine list to see what would pair with what you choose. One of the best parts about a meal at Boathouse Bistro is their location. You can’t beat it. You have two choices when it comes to a place to sit at Boathouse Bistro, inside or out. On a beautiful day, be sure to choose outside. Their outside decks give you a view that is incredible. There are plenty of tables as well as an outdoor bar if you just choose drinks. Inside is just as lovely too. They have a few tables that go across a bank of windows. Their inside decor ties in with their name. You will see stunning nautical pieces inside. We hope that after reading about what you can expect at Boathouse Bistro, you will add them to your list of places to eat here in Boothbay Harbor. 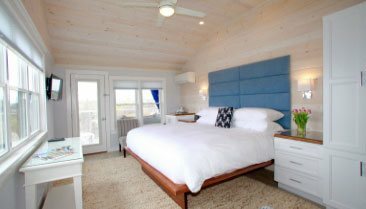 Anytime you are here, be sure to stay with us at Topside Inn. We have 3 buildings filled with rooms for you to choose from. Just like Boathouse Bistro, we too have spectacular views. Each of our rooms is decorated in a simple and classic style. Our comfortable beds are topped with luxurious linens to help ensure you have a restful night’s sleep. 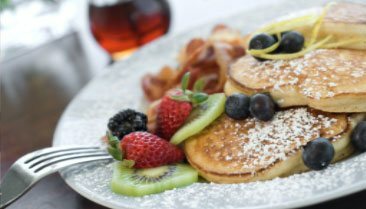 Each morning you are with us, join everyone for a gourmet breakfast. 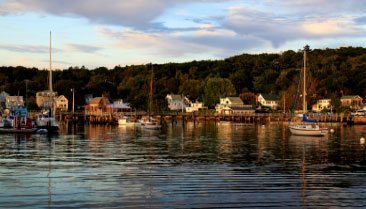 Ready to plan your next trip to Boothbay Harbor? Contact us today let us help you plan a wonderful trip! Want to find out more about our area? Request your free Vacation Guide today!